All of our transport crew members are trained in safe operation of the wheelchair lifts, transportation safety features, and defensive driving, as well as patient sensitivity, elder sensitivity, HIPAA rules, and situation & response guidelines. They are all drug, alcohol and smoke-free, and we have contests and prizes to reward excellence. The result is a team of caring, professional, pleasant transporters who are enthusiastic about ensuring your experience is a stellar one! 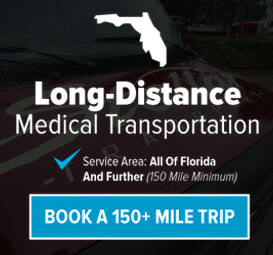 At Stellar Transportation we offer Local Medical Transportation and Long Distance Medical Transportation. If you live locally near one of our locations we can pick you up and drive you anywhere you need to go. However, if you live outside of our local service area we only offer service to clients needing rides of 150 Miles or more. If you live in out of our local service area and need a ride to your local doctor down the street we cannot help you. 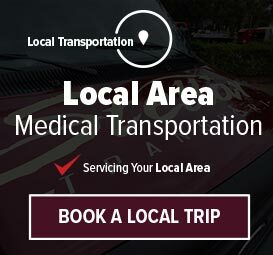 However, if you live in outside of our local service area and need a long distance medical transportation trip (150+ Miles), than we can help you. We service the ENTIRE state of Florida as long as your ride distance is 150 Miles or more.